Ladies I Love: G is for Grumpy Cat! Meow! Today we have another non-human A to Z Challenge Ladies I Love-themed post for the letter G. Let us return to the year 2012. April 4, 2012, to be exact. Events that occurred on this day in the little town of Morristown, Arizona, resulted in the world being forever changed: a little bit furrier, a little bit cuter, and a whole lot grumpier. On April 4, 2012, Tardar Sauce (a.k.a. Grumpy Cat) and her brother, Pokey, were born. 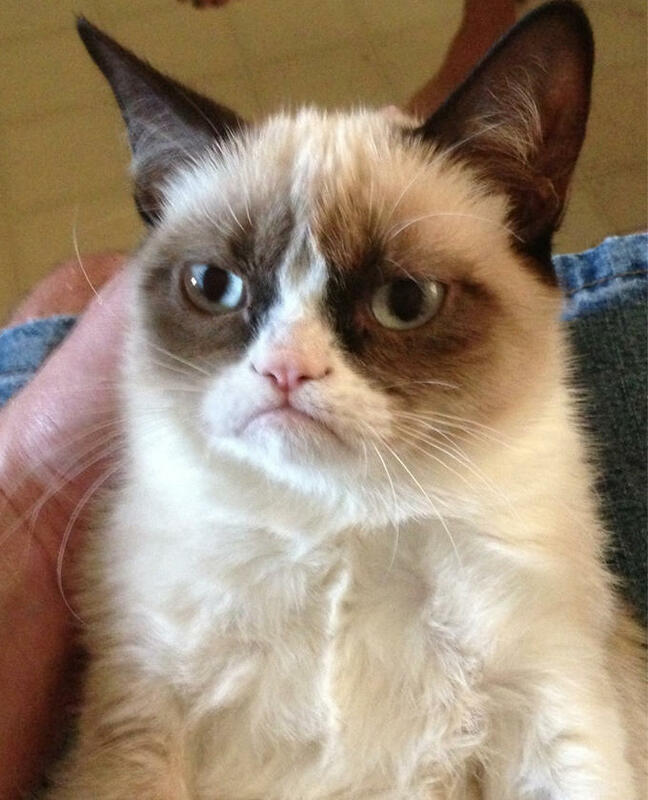 The original grumpy cat photo that unleashed unprecedented crabbiness into the world! According to Grumpy Cat’s head minion (and yes, Grumpy Cat *is* a female), Tabatha Bundesen, Tardar’s features are permanently grumpified as a result of feline dwarfism, which has also left her back legs somewhat out of proportion to the rest of her body. But her vet has given her a clean bill of health, and Tardar has the green light to spread curmudgeonly crankiness to her heart’s content. But truth be told, as grumpy as Tardar Sauce looks, she’s actually the more friendly of the two, with Pokey being the grouchier of the siblings. And speaking of Friskies, Tardar Sauce has done several commercials with Friskies in the “Will Kitty Play With It?” series! They are grumpy and adorable! But, in honor of Tardar’s second birthday (she’s entering the Terrible Two’s, everyone!!! ), here’s a special Friskies birthday video (no, I’m not a sales rep for Friskies…they just do great Grumpy Cat videos!). Long live Grumpy Cat!!! Too funny. And a complete surprise lady choice for G.
“Grandma got run over by a reindeer… Good”. I can’t stop laughing. LOL, Ohhh how fun. I have an indoor cat, Alice, and an outdoor cat, Constance. Well, Alice got spayed and now she is indoor outdoor and I love to watch the two of them together. Alice actually believes she was born from my womb and returns to my belly to sleep each night. When I am gone too long she gets grumpy and sits on the porch with Constance. Her cute little face gets more sour by the moment. I love this feline chapter in the ladies series. Awesome! That cat is so adorable, I can’t get over it. And her popularity encourages people to adopt the “non-perfect” kitties from shelters, which is never a bad thing. Your posts are very educational! Thanks! She’s ADORABLE! I’m a “crazy cat lady’ myself…. so I”m partial to felines – but this one is so unique she is really hard to resist! Thanks for sharing her story! Her feline grumpy face makes my dog’s perpetual “duh” face even more pitiful! LOL! 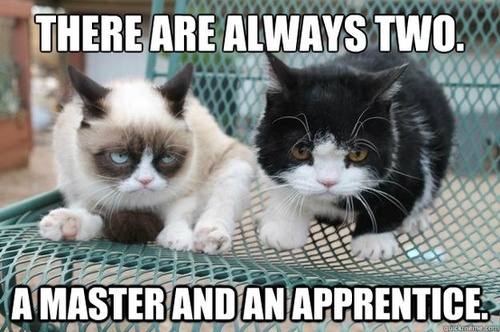 That is so funny that we both blogged about Grumpy Cat for G day! I love it!!!! Very funny. I am glad I visited. Looking forward to coming back for more. Haha. How did you make them cycle like that? Did you use a gif image?